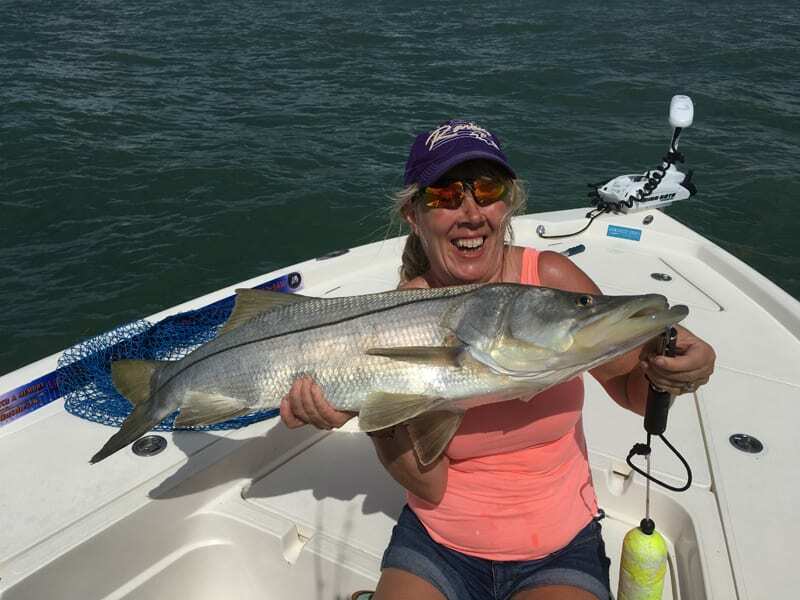 Snook are in season. These fish will be feeding aggressively this month along the beaches outside of Port Canaveral. Snook, tarpon, shark, redfish and more are blowing up on the school of migrating mullet along the surf zones. These baitfish are working their way south for the winter and they are running the gauntlet through this maze of predators to get there. Rapala X-Rap lures in the 10, 12, and 14 sizes can be very effective on most of these species early and late in the day. Through the middle of the day anglers can use live pogies or mullet on a VMC 7385 coastal black circle hook to get many of these fish to strike. Mangrove Snapper, flounder, Jack ladyfish and bluefish will be other species you can expect when the mullet run gets going strong. Anglers can add a little weight to these baitfish to get them below the rest of the school, and you should get a bent rod in no time.